Based out of Salt Lake City, Utah, Noke is aimed toward innovating smart-locks of every kind, making locks an asset to consumers rather than a hindrance. The company was founded in late 2014 with the help of the Kickstarter community, which backed multiple successful campaign launches to make Noke's vision a reality. 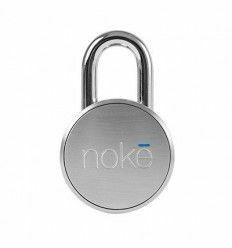 The Noke team has since doubled in size and works to make securing, sharing and tracking locks a seamless and convenient user experience. Noké est un cadenas que vous déverrouillez avec votre smartphone.